Four seasons. Four stories. Each set in the enchanting world of the South. 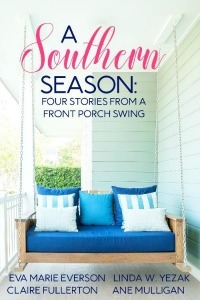 When Kerry Graham’s boss forces her to return to the Gulf of Mexico where her husband drowned years ago, she feels only spring’s chill and not the warmth of the Texas sun. Can the joy of a reclusive author and the compassion of a shrimp-boat preacher thaw Kerry’s frigid heart? With the untimely death of his wife, Dr. James Gillespie believes God has abandoned him. 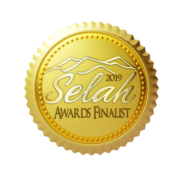 He also believes he’s never met anyone like the young widow Lillie Beth, whose beloved Granny lies dying at home, and who sees a God who sweeps hope through a farmhouse window. Can a young woman whose husband died in Vietnam restore a faith that is all but dead. Because her larger than life mother Daphne Goodwyn is dead, forty-year-old Cate returns to Memphis with one thought in mind: something always goes wrong at a Southern funeral. But surrounded by the well-mannered society that raised her, the nostalgic rites of a three-day, autumn mourning bring the unexpected gift of the end of sibling rivalry. With Broadway stardom within her reach, Morgan James returns home in winter to help an old friend. Maybe it’s just nostalgia, but when she sees him again, an old flame rekindles. When she’s called back to NYC to take the lead in a new musical, will fame be worth losing the man she loves? The simple taste of salt water on her lips resuscitated Kerry Graham’s most painful memories. It had happened so many years ago. Neither had apologized. Then Mark was gone, and neither could. They’d been newlyweds, kids arguing over stupid things. Until the big one came, the monster argument about fidelity and lies and where were you last night? Hurt feelings and wounded pride eroded the feeble foundation of a two-year marriage. Each new wave roared with memories of cruel words. Each soft rasp of water over the sand whispered apologies that never came. Seagulls and pelicans skimming the surface of the ocean searched for his capsized boat, just as the Coast Guard planes had long ago. Kerry had left after that. The Gulf of Mexico could keep its dead. She’d moved inland, deeper into Texas, with no intent of tasting salt water again. But God called her back to the bay for a reason. If she didn’t need her job, would she have come? Her Labrador retriever, Puddin, abandoned her to chase a wave, then nose a crab as it crawled to safety. The crab snapped its claws. Puddin jerked back. Even a dog knew to protect itself from pain. “You there?” Alan Samuels never wasted time on niceties. “Oh.” Renting a house for her where pets were allowed illustrated Mrs. Marino’s generosity even more than the donation she intended to make to the museum. “Yes, I know what you mean.” Everyone in the Poets and Authors of Texas Museum had more experience. At thirty-two, Kerry should’ve had a few years under her belt—and would have, except for the wedding and the funeral and the years of floundering as if she were the one lost at sea. The ink on her degree had barely dried when Elena Marino requested her help. Puddin nabbed a stick from the waves, probably burnt wood from a recent bonfire, and trotted toward her with hope in his eyes. He dropped the stick at her feet and sprayed her with the salt water he shook from his fur. She tossed the stick, and Puddin waited for the wave to fetch it before chasing it into the water and trotting back with it trapped in his goofy canine grin. Laughing, she threw it one more time. The man coming toward her wore dirty white shorts and a grungy blue pullover. His stained deck shoes kicked up sand as he walked, and the nearer he got, the stronger the odor of dead fish became. She might have, in moments of lunacy, missed the smell of the sea, but she never missed the other scents associated with it. When Puddin saw the stranger standing beside her, he raced back and plopped his bottom right between them. Good boy. The soft yellow beach bungalow he nodded toward bore a white trim, making the house look sunny and inviting. Several miles down the beach, she and Mark had owned one similar. They’d argued about the color. He wanted a brighter yellow; she wanted the softer hue. She won, and he’d admitted she was right. It was probably gone now. With Puddin loping ahead of her, she jogged toward her rental. He trotted up the stairs to the balcony, already aware which house would be their home for the next month or so. She yanked the keys from her pocket and ordered him to stay while she retrieved an old towel from inside. As she rubbed away sand and salt water from the lab’s coat, she watched Quinn amble toward his own house. When Mark was deep in thought, he would walk like that, with his head down and his hands in his pockets. Then he would look up, catch her eye, and dazzle her with his brilliant smile. If only she could see that smile again. Quinn glanced her way once before disappearing from her line of sight. He probably noticed she hadn’t given him her name. As long as he could take a hint, they’d get along fine. 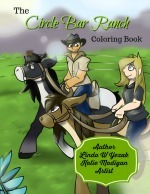 The Circle Bar Ranch Coloring Book! Subscribe to the Coffee with Linda newsletter!